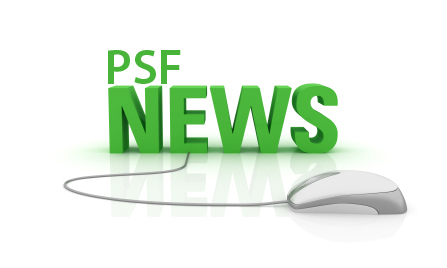 Since 2003, PSF and Intel Education Initiative, Pakistan have been joining hands in organizing Science Fairs at Provincial and National levels. Major objective is to motivate the young students towards science education, which is the ultimate ladder for socio economic development of the nation.The grand winners of the Science Fairs get an opportunity to showcase their research projects in Intel International Science and Engineering Fair (ISEF) at USA. Each year, approximately 7 million high school students around the globe develop their research projects and present their work at local science competitions with the hope of making it to the Intel International Science and Engineering Fair at USA.About 1,800 winners of these competitionsare invited to share ideas, showcase cutting-edge research, and compete for more than USD 5 million in awards and scholarships. The procedure for initial screening of the students starts all over the country by involving Provincial Education Departments, Science Caravan offices, teachers and scientists. Training workshops and Mentorship session are also organized as part of the students’ selection process. For the year 2014-15, the first phase of the Intel Science Fair was started in May-June 2014 and continued till January 2015. Orientation sessions and science excel camps were arranged by PSF, Intel, Federal Directorate of Education, Provincial Education Departments and other stakeholders. Initially, more than 12,000 students took part in the Provincial Science Fairs arranged at Karachi, Quetta, Peshawar, Lahore, and Islamabad. For the final i.e. 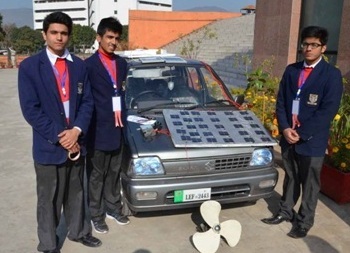 National Science Fair, about 100 group and individual projects, prepared by 193 students were selected and showcased at Sir Syed Memorial Complex, Islamabad on 27 to 31 January, 2015. In addition, hundreds of students, teachers and scientists from the twin cities also visited the Science Fair. In addition to making arrangements for the Fair, a number of officers from PSF, PMNH and PASTIC performed their duties as Volunteer judges for assessment of the best projects. By the end of the national Science Fair, Intel and PSF were able to select 9 students with three individual and two group projects for participation in the Intel ISEF 2015 to be held in USA during May this year .Mr. Qaiser Majeed, Additional Secretary, CA&DD, Mr. Naveed Siraj, Country Manager, Intel Pakistan, Prof. Khalil Ahmed Ibupoto, Chairman, PSF and a number of other scientists & dignitaries were present in the closing ceremony. The enthusiasm of the winner students was worth seeing. Cash Prizes and Certificates were announced for the outstanding projects. The Chairman, PSF highly appreciated the motivation and devotion of the students. Three individual Projects of Mr. Habab Idrees(Dewan Daram Jethmal Sindh Govt. School Karachi); Mr. Shadad Rasool Buriro(PakTurk International School and Colleges Khai rpur) and Mr. Muhammad Ahsan Nawaz(Govt. Higher Sec. School, Vehari) were selected for the Intel ISEF. 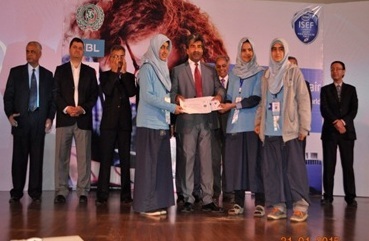 In addition, two group projects of Mr. Amir Hussain Khan, Mr. Ali Ahmed Karim & Ms. Kiran Karim(Agha Khan Higher Secondary School, Karachi) and Mr. Aurengzeb Ahmed, Mr. Tohami Bin Shafiq, Mr. Syed Ali Ahsen& Muhammad Jafery(Beaconhouse School system, Lahore) were also among the lucky winners for showcasing their project in USA. Mr. Naveed Siraj, Country Manager and Ms. Khadija Bashir, Project Manager, Intel highlighted the role of PSF and its support in organizing Provincial and National Science Fairs and lauded the services of scientists for promotion of science in the country.